Sutton is blessed to be home to two gorgeous waterfalls. 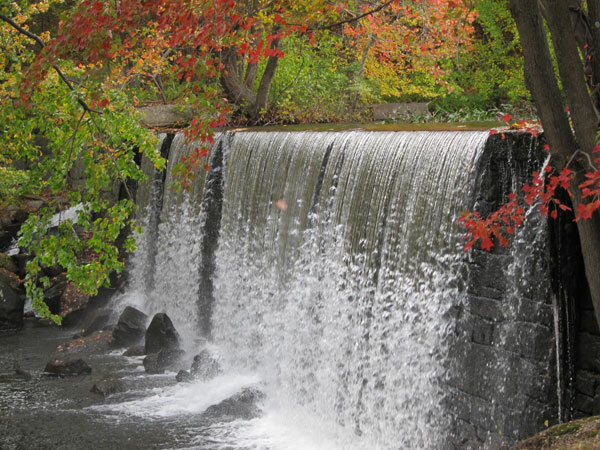 While the Blackstone River waterfall might be larger, the Manchaug Falls are more serene! 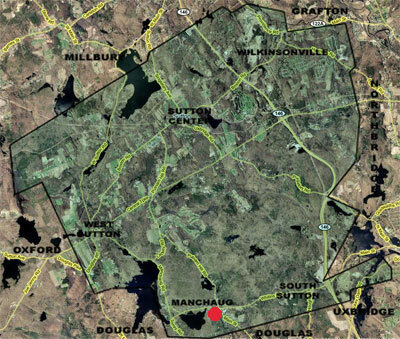 The village of Manchaug is part of Sutton and is located in the southwestern corner of the town. 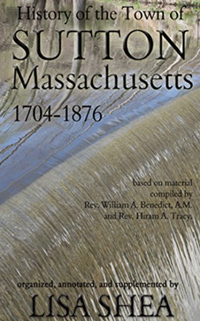 The Manchaug Falls are found right at the main intersection in the village center. This is at the intersection of Main St., Manchaug Rd., Whitins Rd., and Putnam Hill Rd. The waterfall is at the southwest corner of the intersection. There's a short walking trail there too. Interestingly, there is no large river or other big water source creating these falls. 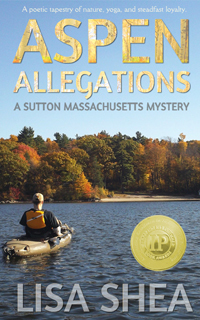 The tiny pond south of Manchaug Road seems almost to exist on its own, perhaps only connected to the nearby larger Stevens Pond by underwater tunnels. In this first map image, the red dot is the location of the falls. The big pond to the left is Stevens Pond. 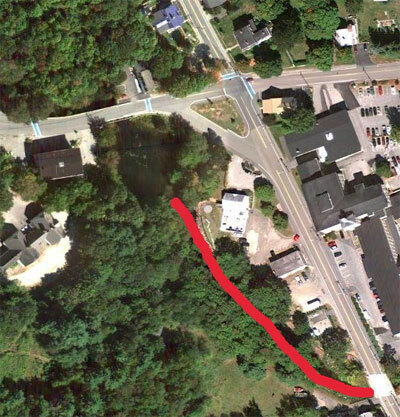 In this next image you can see the small pond, and then I've traced with a red line the river that goes downstream from the falls until it goes underneath the road. The path goes along this stretch. Once the river goes beneath the road, it heads into private land. The white building to the right of the river used to be the Manchaug Library - it now is a private day care. 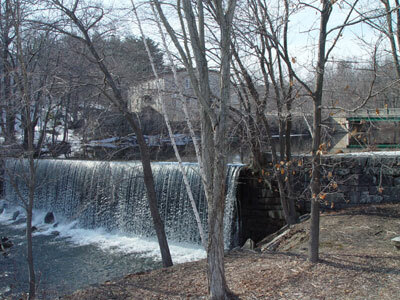 Across the street to the right are the Manchaug Mills which used to use this waterfall for power. Now the complex hosts a variety of craft shops. The Manchaug Falls are gorgeous to visit at any time of year. There are several benches to sit on and admire the view. There's a paved path to walk along the downstream river for a while, learning more about this village area. The parking lot for this path is located immediately south of the day care. Here's an older video I have on this site. It's 2.3MB so it might take a while if you're on a slow connection, but it's worth it!